Anyone can read and find stats on all the sportbikes out there – how much horsepower to the rear wheel, curb weight, top speeds, engine specs – but personal riding experiences can tell you everything a statistic cannot. I have had the opportunity to put in some serious seat time on all of the Japanese liter bikes giving me a good feel for what each one has to offer. 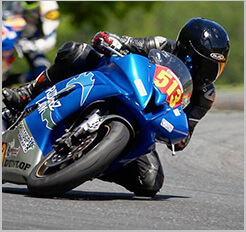 My comparison is on mostly stock bikes, ridden primarily on the street since that’s what most of us are doing – but my preferences for what I’d take to the track are also included. What is the best 1000 cc sportbike? Read on. I’ll go ahead and start with my personal favorite, the Kawasaki ZX10R. Not the most popular liter bike out there, but it has made it to the top of my own podium for a few reasons. The ZX10R is known for a very responsive power band – once you are in it. Gearing can put that power band into a more street friendly range (along with a few other mods), as can changing the maps on the newer models. Ergonomically, this bike fits me the best. As an avid track rider and racer, I like the power band, love the handling and the distribution of the weight on the bike. The traction control on the new models is amazing – very confidence inspiring. The stock looks are less than ideal (I hate Kawasaki’s exhaust and tail pieces), but those things are easily fixed. The Kawasaki is also one of the easiest of the bikes to work on – until you need to do valves anyways. Out of the box, I find this one of the most enjoyable of the liter bikes for someone with some experience on the bigger bikes, and the map choices along with traction control and ABS make it a nice step for someone who’s used to sport bikes and is looking to move up to a bigger bike. Not for the faint of heart, this bike has little forgiveness, but is a blast to ride. The Suzuki GSXR is the newest bike on this list, but has basically remained unchanged since 2009 when the current K9 model came out. As an out of the box stock bike, these can come with some goodies – Brembo brakes, Showa forks and A/B/C map modes. The controls are easy to use and read, but all the safety switches and useless owner’s manual are downsides for me. One switch breaks and good luck starting your bike. Have a question? Owner’s manual tells you go to a dealer for even the simplest of questions – thank goodness for the internet. This is also one of the heaviest bikes curb weight. Despite that, and despite the poor bike’s reputation, I actually really like the GSXR, and it makes it to my second favorite street choice on this list. I like the ergonomics, power bands, and once I got used to it, found it pretty easy to ride through the twisties. This bike does, however, like a bit of weight on the front end so the right tires and a touch of front brake will dip it right in – otherwise it can feel a bit like trying to turn a boat. Stay tuned for part 2 where I’ll cover the R1 and CBR with an overall comparison of all four bikes.